In the past paralysis meant just that, and it was forever. But now we are witnessing amazing breakthroughs in treating, and curing, paralysis that include the development of artificial neurons and cyborg implants, to brain chips and new graphene based treatments. In fact the breadth of treatments are getting so diverse, and so good at reversing paralysis that moving forward we can be increasingly confident that being paralysed no longer means being paralysed for life. In the first successful trial of its kind researchers at the Mayo Clinic, who’ve also been working on reversing aging and using artificial intelligence (AI) to detect disease using only your voice, have, literally, with a flip of a switch, used an electronic stimulator device to help a paralysed man intentionally move his legs, stand and make step like motions for the first time in three years. The 26 year old patient was paralysed three years ago when he injured his spinal cord at the sixth thoracic vertebrae and lost all feeling and movement below his waist. 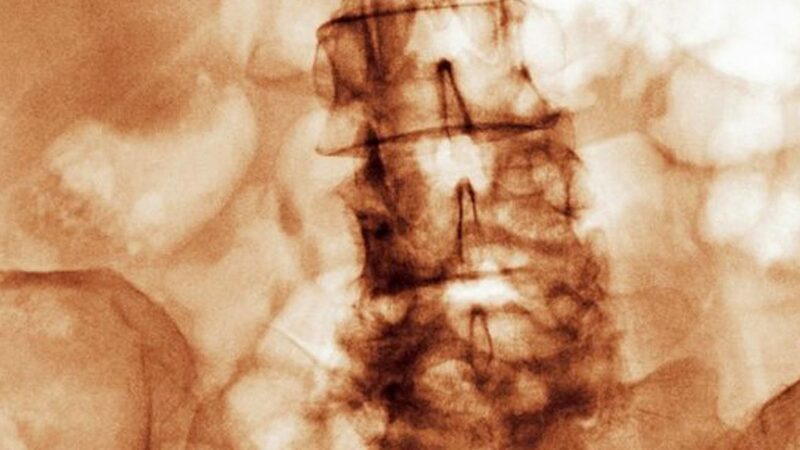 The patient underwent 22 weeks of gruelling physical therapy to prepare his muscles for movement during the spinal cord stimulation, and the results led researchers to theorise that his injury was “discomplete” and that some dormant nerve connections that spanned the site of his injury may still be intact. The patient then underwent surgery to implant an electrode in the epidural space near the spinal cord below the injury, and an electrode was connected to a computer controlled device, which stimulated his spinal chord. Three weeks after the operation he was able to resume physical therapy and two weeks later he was able to intentionally move his leg while lying on his side, make step like motions lying on his side and stand with partial support, and stand independently using his arms on support bars for balance. “This has really set the tone for our post-surgical rehabilitation – trying to use that function the patient recovered to drive even more return of abilities,” said Kristin Zhao, director of Mayo Clinic’s Assistive and Restorative Technology Laboratory. “While these are early results, it speaks to how Mayo Clinic researchers relentlessly pursue discoveries and innovative solutions to address the unmet needs of patients,” said Dr. Gregory Gores, Dean of Research at the Mayo Clinic.